Comments: Compact foliage with oval form. Makes a nice hedge plant of moderate height, but slow growing. 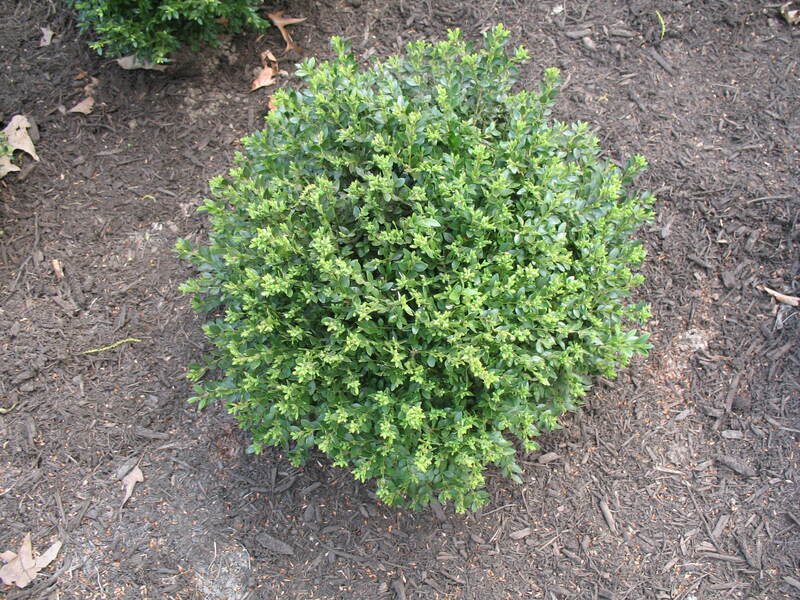 Fertilize boxwood plants in late winter through early spring. Mulch around plants. Do not cultivate close to plants because of shallow root system. Boxwood grow best in a moist, fertile soil with some protection from hot afternoon sun.